Check out Mikie Graham’s (aka Zombie Monkie) first venture into the world of carded action figures with the Dagon Cultist! Based on the works of horror author H.P. 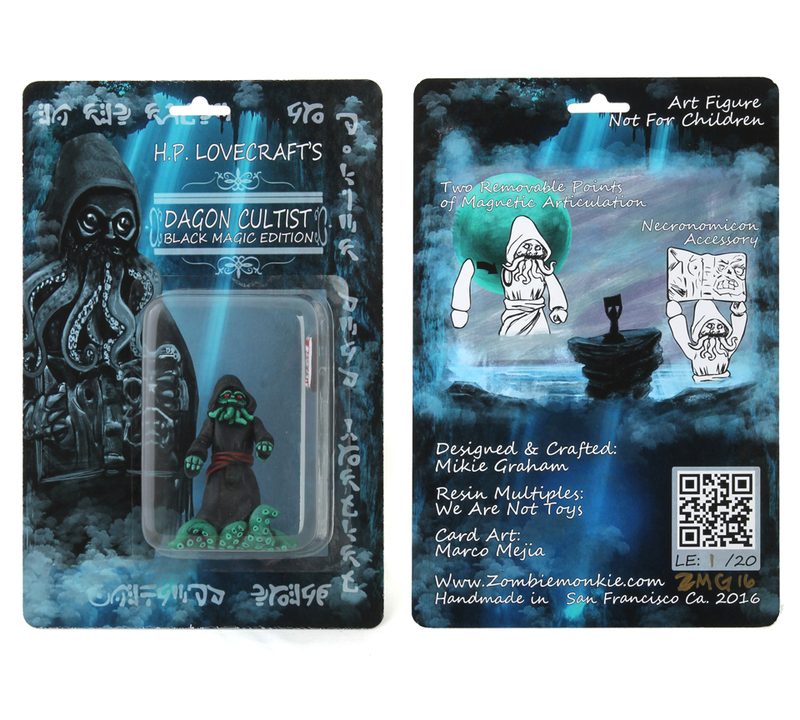 Lovecraft, the Dagon Cultist is a handmade resin figure featuring 2 points of magnetic articulation, miniature Necronomicon accessory and custom “action figure style” blister card. 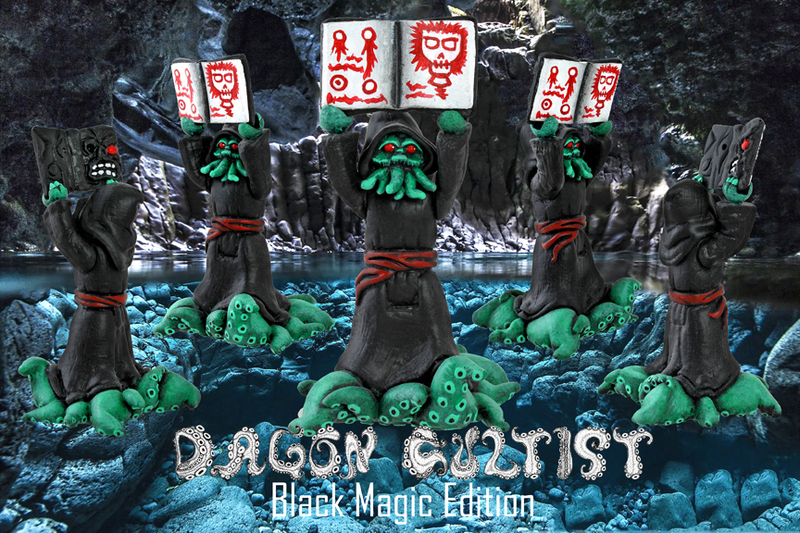 Limited to just 20 signed and numbered carded figures, the Designer Con Exclusive Black Magic Edition Dagon Cultist will make its debut at DCon booth #1232 where it can be purchased for just $65! Mikie will also be hosting a giant toy garage sale at his booth featuring buckets full of $5 and $10 figures, stacks of old designer toys and on the card action figures. There will even be a giant box of broken toys and resin miscasts on the cheap, perfect for toy customizers!